When I was planning mine and my sister’s Andalucian holiday, I had a question to which I couldn’t find a straight answer. 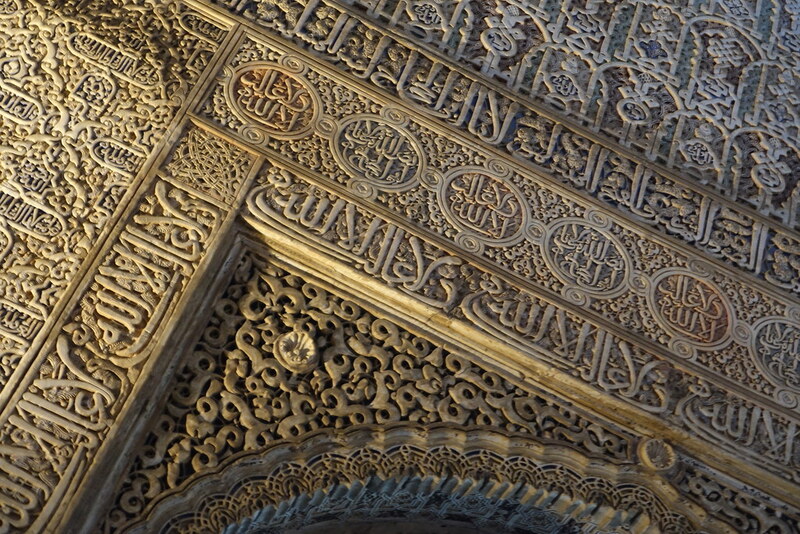 Now I can answer that question with certainty: the Alhambra in Granada is undoubtedly the best Mujedar palace in Spain. 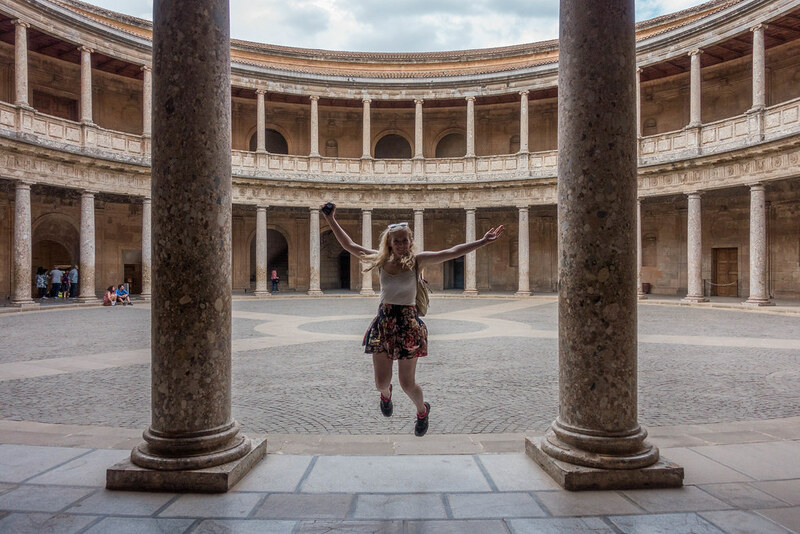 If you’ve limited time, skip the Alcazar in Seville – the Alhambra has everything it has, but bigger, better, and more scenically positioned (although, they didn’t film Game of Thrones in Granada…). 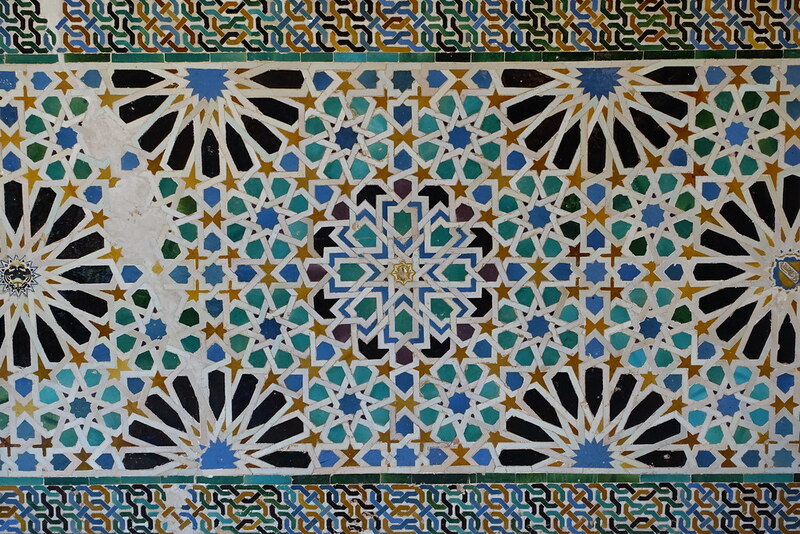 In fact, I’d even go so far as to say that the Arabic decoration of the Alhambra rivals that found in the palaces of Marrakech. 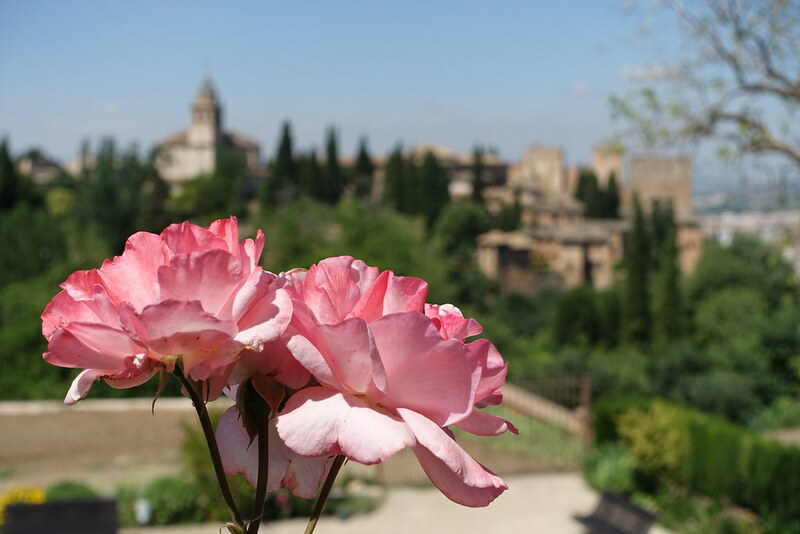 To guarantee your visit to the Alhambra you need to book ahead. You can book tickets online on Spain’s ticketmaster website. 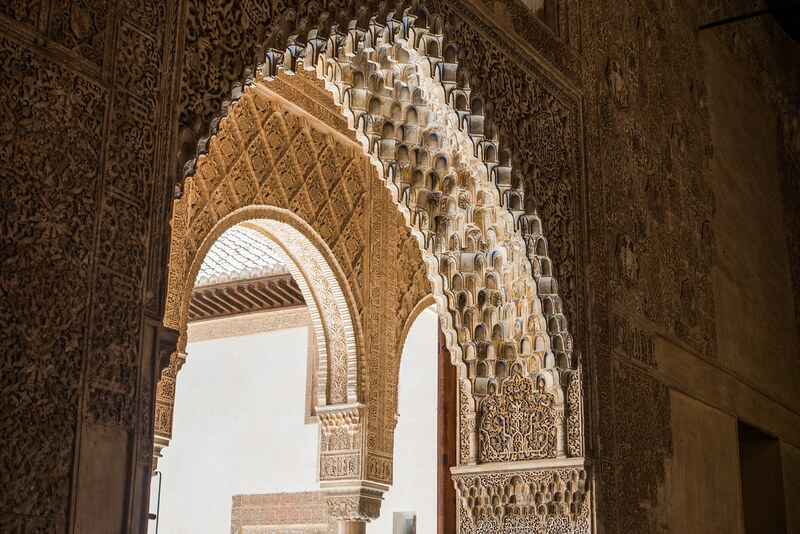 It’s a bit confusing, but if you just want a standard daytime visit to every part of the Alhambra, select ‘Alhambra General’. 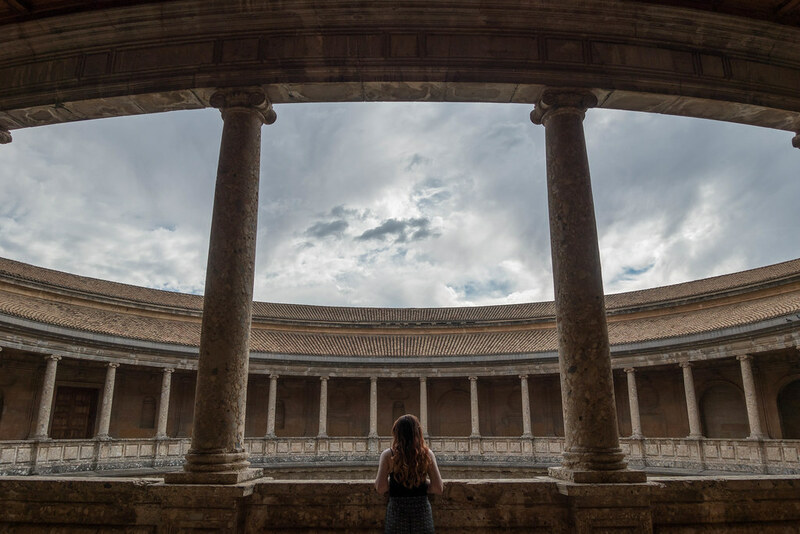 The time you select is when you must enter the best part of the complex, the Nasrid Palaces, and you’re free to walk in and out of the other areas of the Alhambra at any time within the session your set time falls into: morning (8am to 2pm) or afternoon (2pm to 8pm). 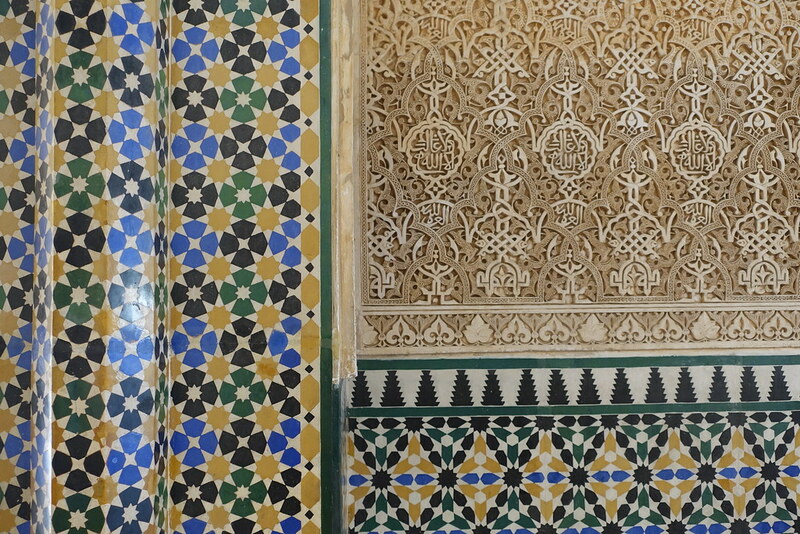 I’m not sure how prescriptive this is, because I booked the Nasrid Palaces for 2pm and we were able to start exploring as soon as we arrived at 11am, and to continue throughout the afternoon. 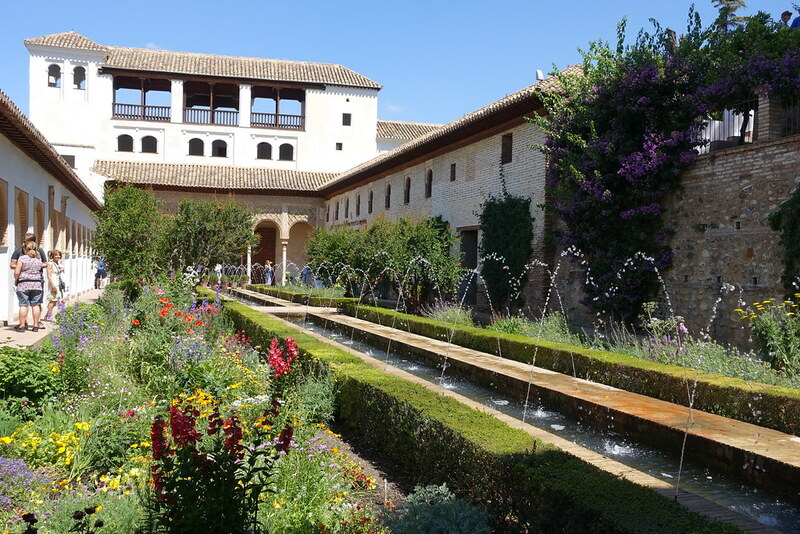 We went around the Generalife gardens first, visited the Nasrid Palaces from 2 until 4, then moved onto the Palace of Carlos V and the Alcazaba. 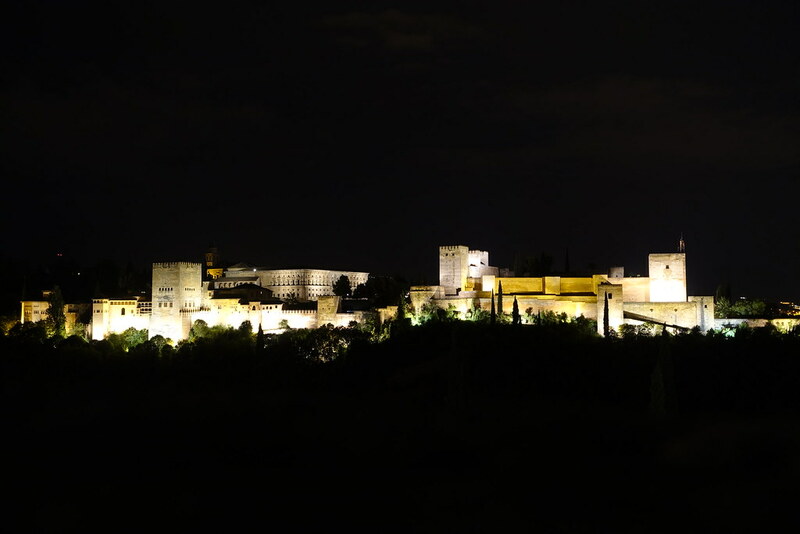 The Alhambra shuts for daytime visits at 20.00 between April and October, so we spent the best part of a day there before leaving at around 18.30 to find dinner. If you don’t book online and decide to try your luck on the day, it’s highly likely you’ll be turned away (we saw this happen continually as we were queueing to collect our tickets). 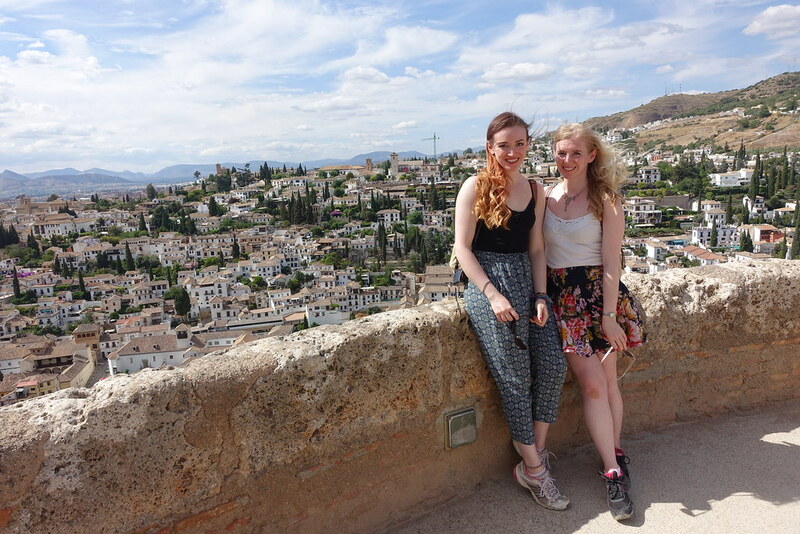 We walked to the Alhambra from the centre of town and found it a bit confusing. 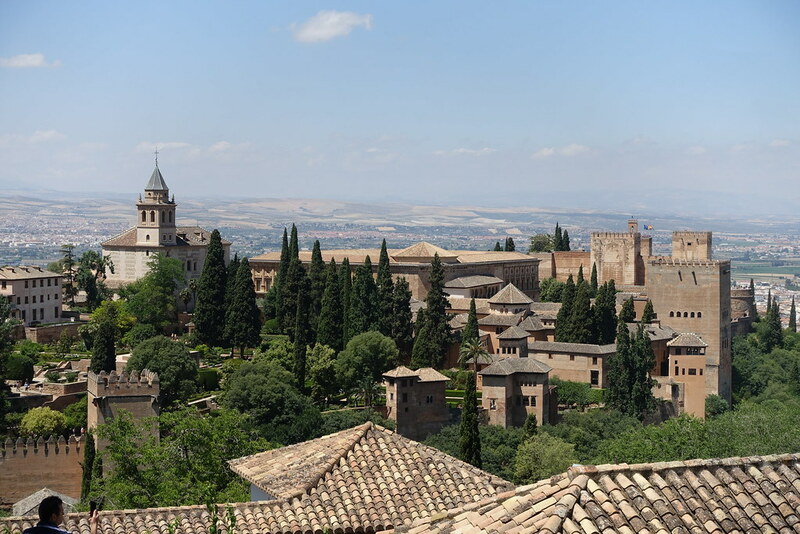 Travelling on foot from Granada Cathedral at the centre of town, you have to walk a long way up a cobble-stoned hill (no mean feat in extreme heat), past all the Alhambra buildings, to the opposite end of the complex in order to collect your ticket. Thankfully, from there it gets much simpler. There are maps at intervals that show your location and each part of the vast palace complex, meaning you shouldn’t get lost. 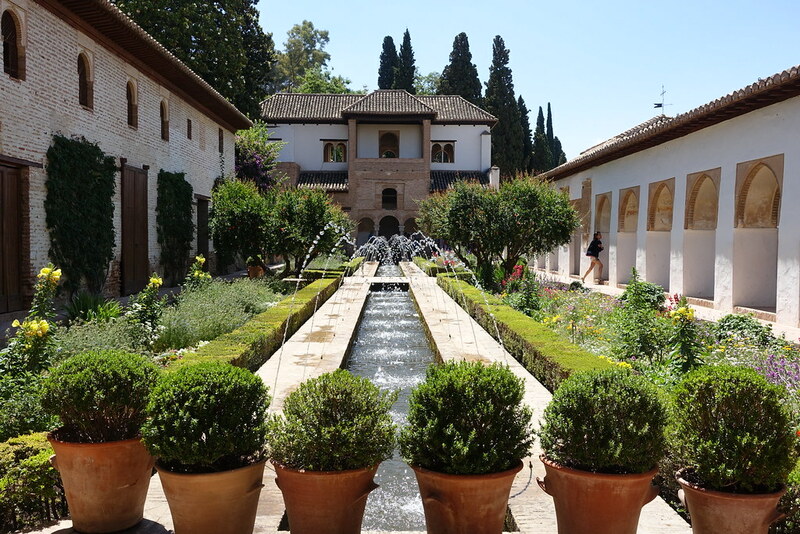 With the entrance to the Generalife gardens next to the ticket office, it’s simplest to go there first. 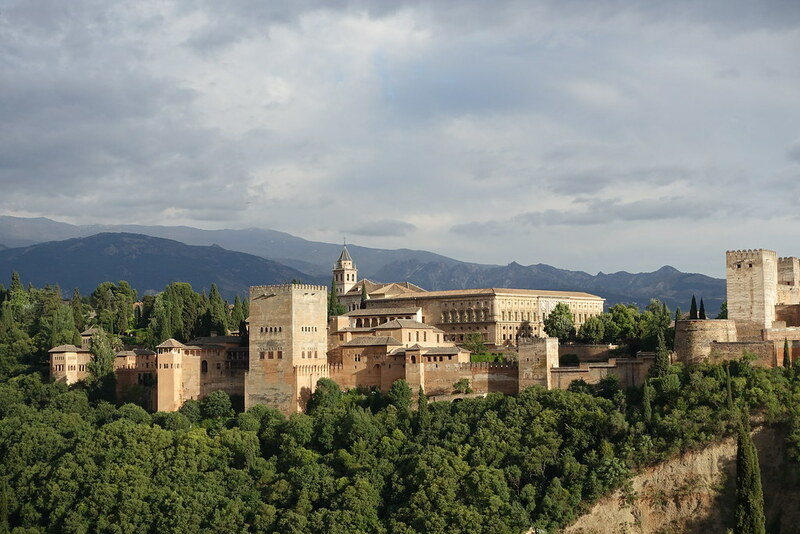 The path leads to and along an elevated edge, providing a stunning panorama across to the main buildings of the Alhambra. I know I’ve said words to this effect about Ronda and Cordoba as well, but this vast, dramatic scene of an Arabic castle on a forested hill once again put me in mind of fantasy and fairytales. 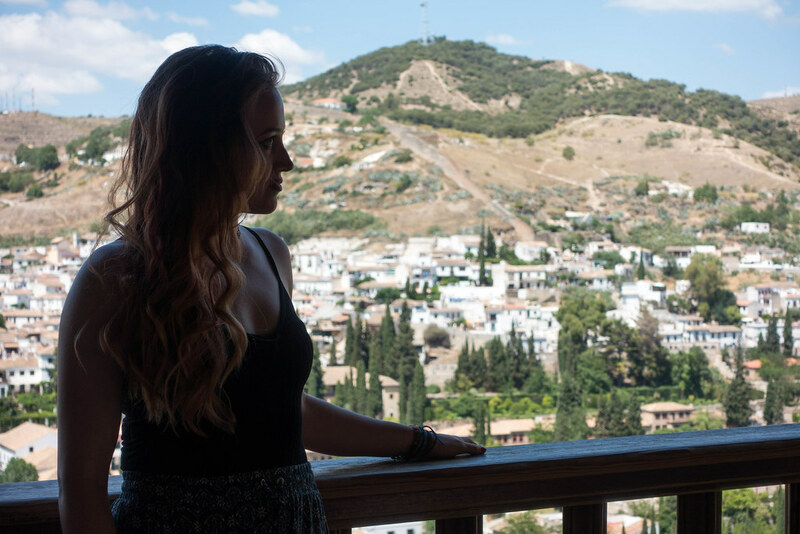 Besides this view, which is never far no matter where you are in these mountainside gardens, the Generalife has all the hallmarks of palace gardens we saw elsewhere in Andalucia: colourful flowerbeds; palm trees; water pools and fountains; and elegant covered walkways. 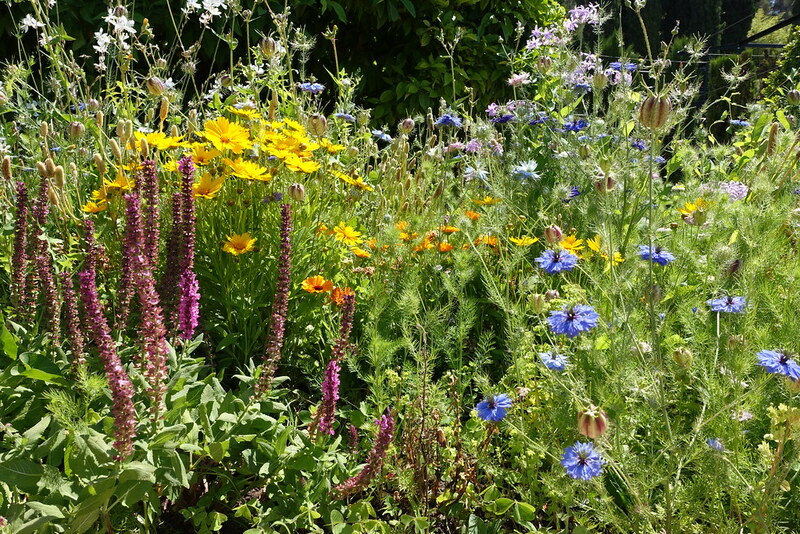 Everything here is lush and beautiful, but its the view that makes it really special. 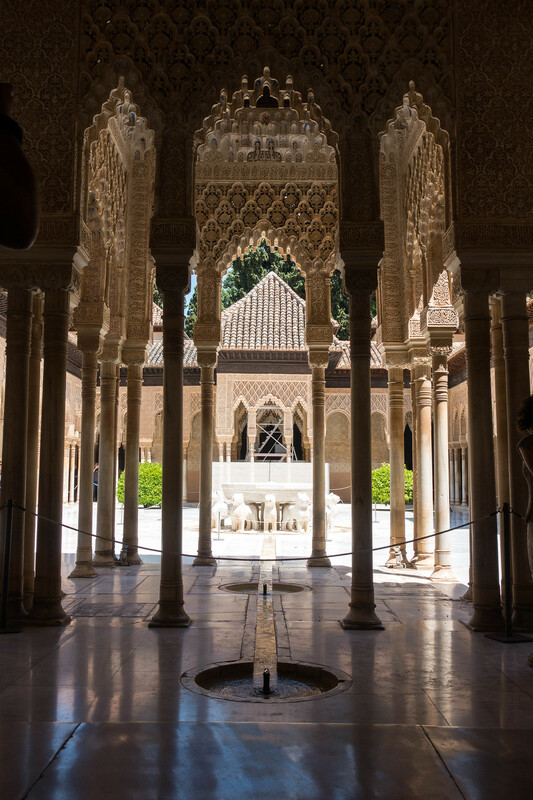 Having walked the full route of the gardens, we bought snacks from a vending machine in place of lunch and proceeded to the main, precisely timed event: the Nasrid Palaces. We started queueing to get in about 20 minutes before our 2pm entry time, which meant we were two of the first people of our tranche to get in. The Palacios Nazaries are probably the closest you can get to Marrakech in Europe, and, in my opinion, even more impressive. 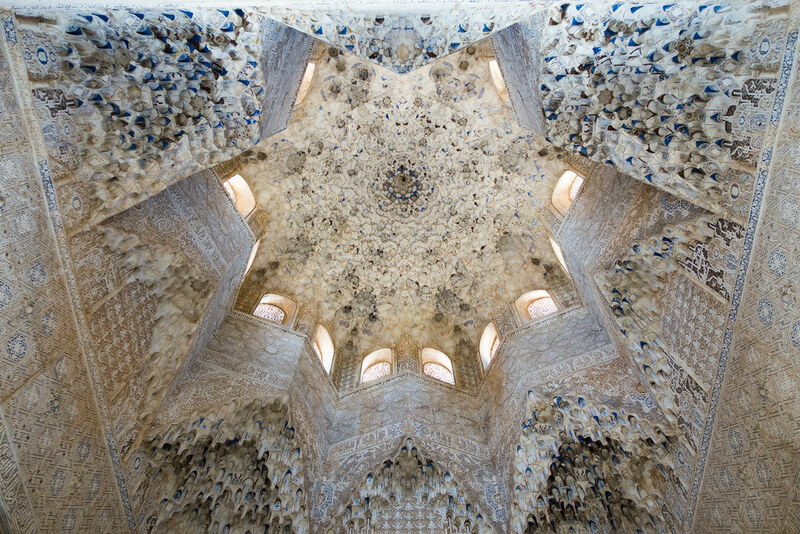 There are countless different designs of intricate tiling, corniced arches, elegant pillars, and incredible ceilings. 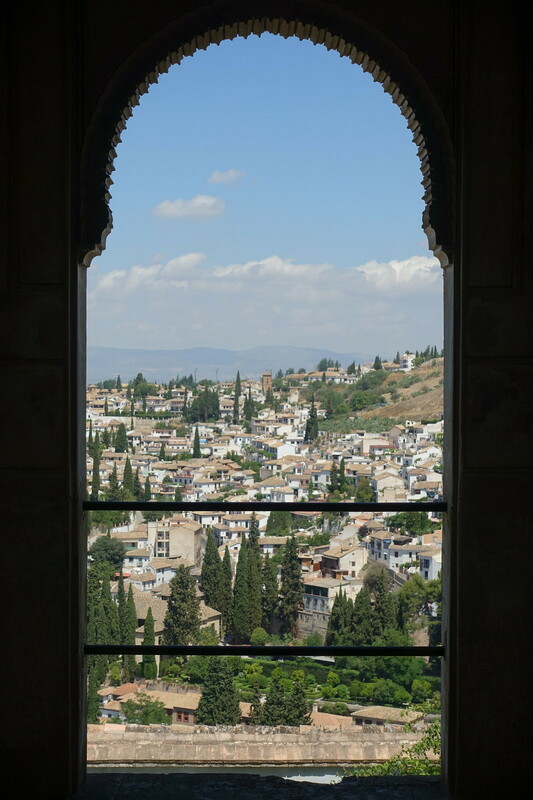 To top it all off, the windows offer spectacular views over the city and to the verdant hills beyond. 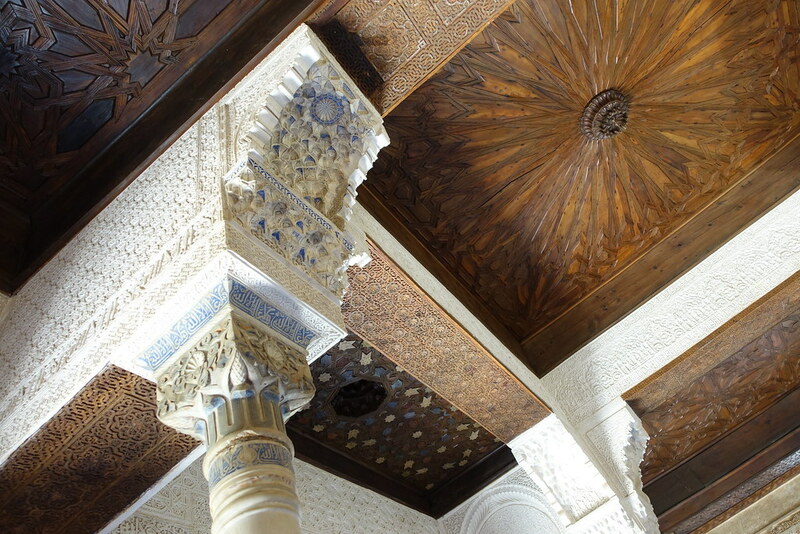 I felt that I was walking around these palaces in a perpetual state of awe. 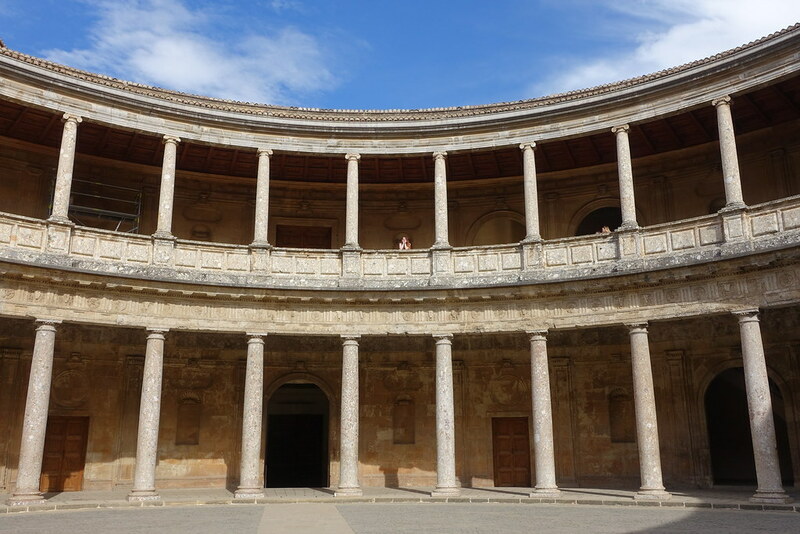 Next we ventured into the Palace of Carlos V, which houses the Museum of Fine Art. The museum was shut when we visited, but it didn’t bother us because the building was enough of an attraction in itself. 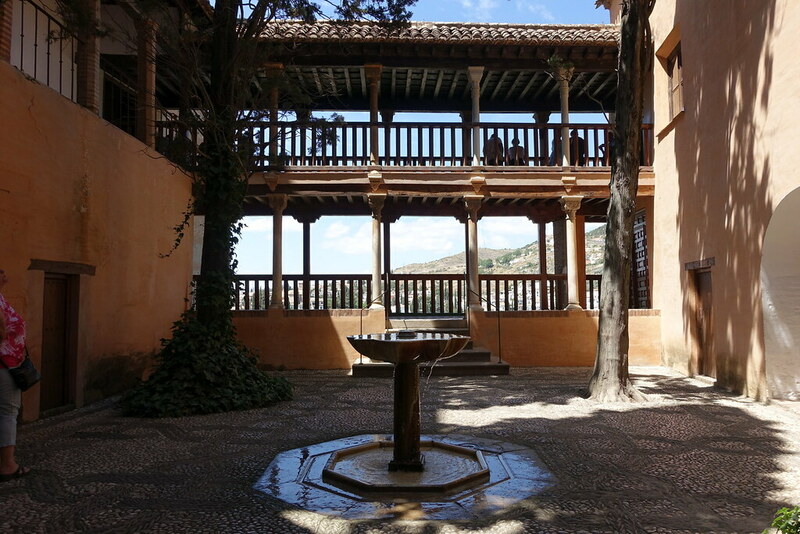 Unlike the Nasrid Palaces and Generalife, Palacio de Carlos V is built in a European Renaissance style with a circular patio surrounded by pillars. The unique architecture makes it a great location for photos! 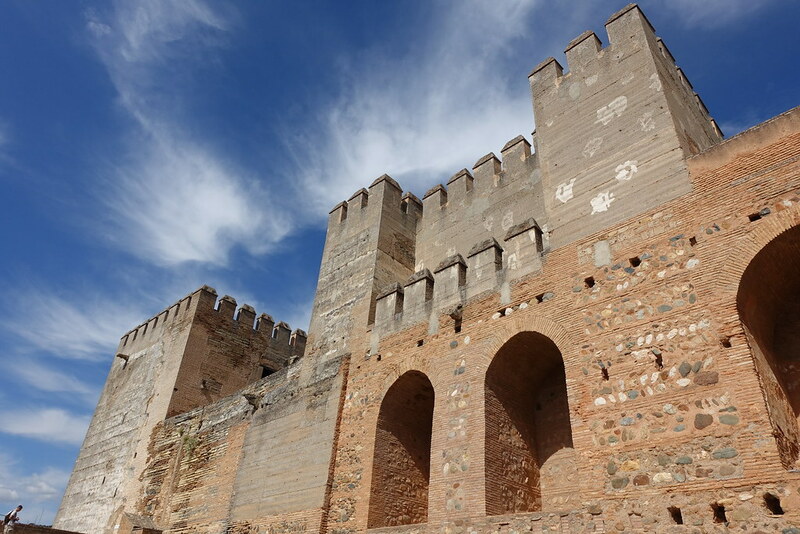 Our last stop within the Alhambra complex was the Alcazaba, which seems to have an overly magical-sounding name for what is essentially a large military fortress. 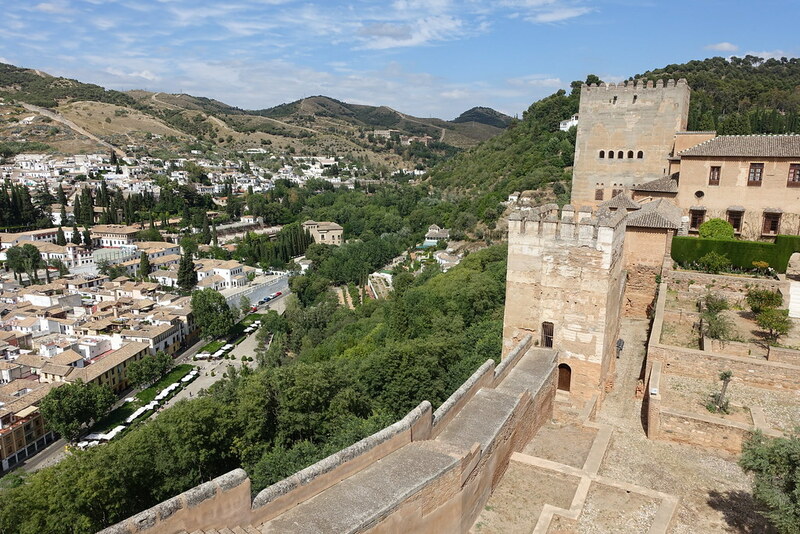 Nevertheless, the Alcazaba’s large turrets and ramparts offer the highest viewpoints in the entire Alhambra complex, and we revelled in seeking out every panorama it has to offer. 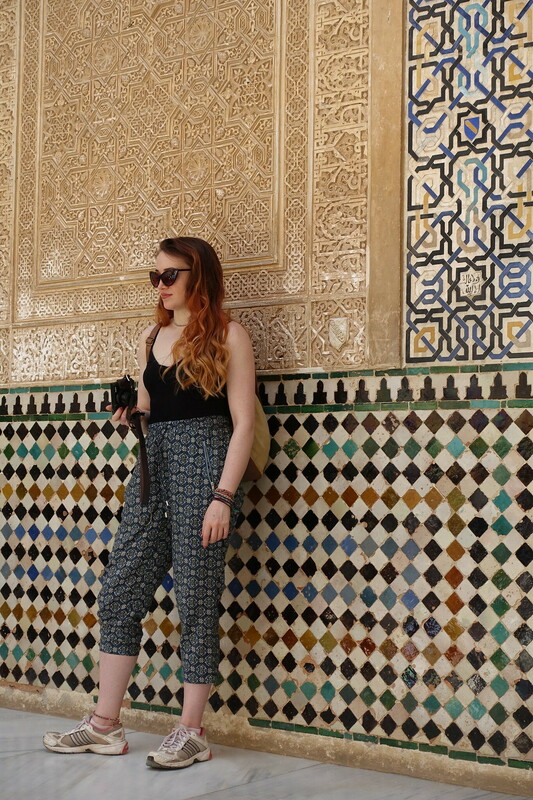 Having spent almost an entire day roaming the Alhambra, our final task before dinner was to find the best spot for admiring it from afar. We decided on Mirador San Nicolas and, although it meant another tiring uphill trek, it was worth it. 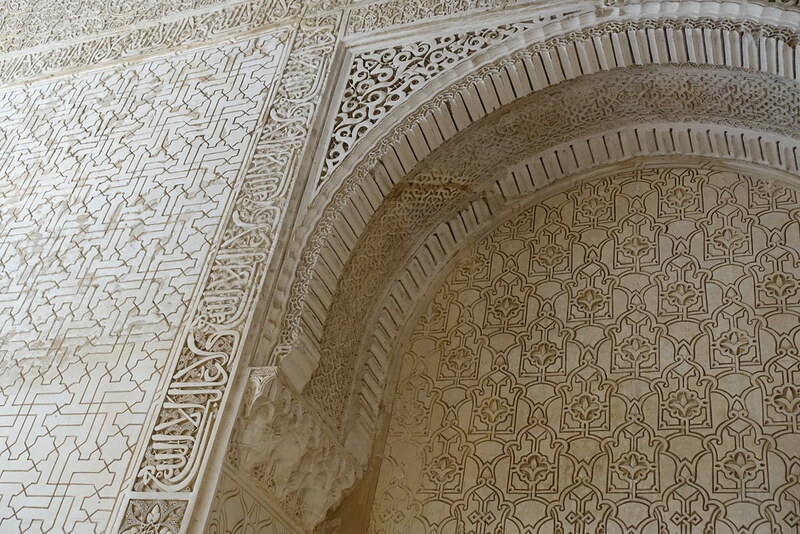 From here you get an excellent view of the Alhambra in its entirety. We saw it in daylight, went for dinner nearby, then came back to see it brightly lit after dark. 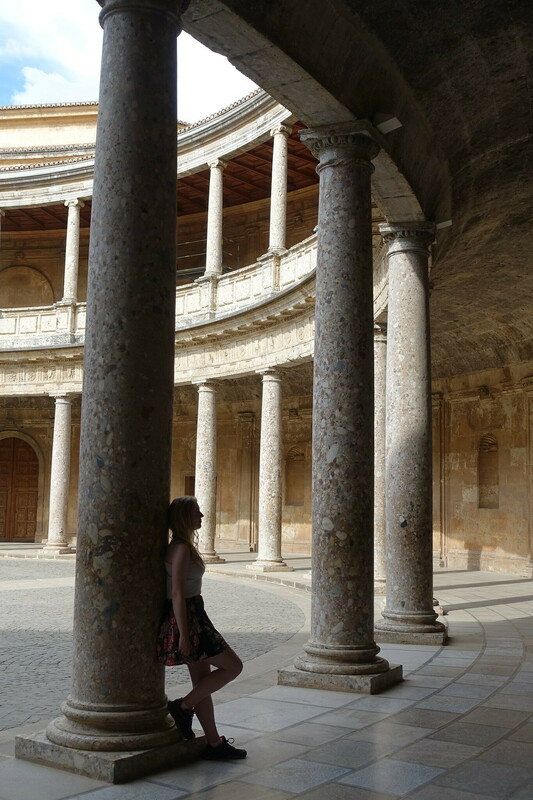 The Alhambra is truly amazing, but it’s not the only interesting thing in Granada. 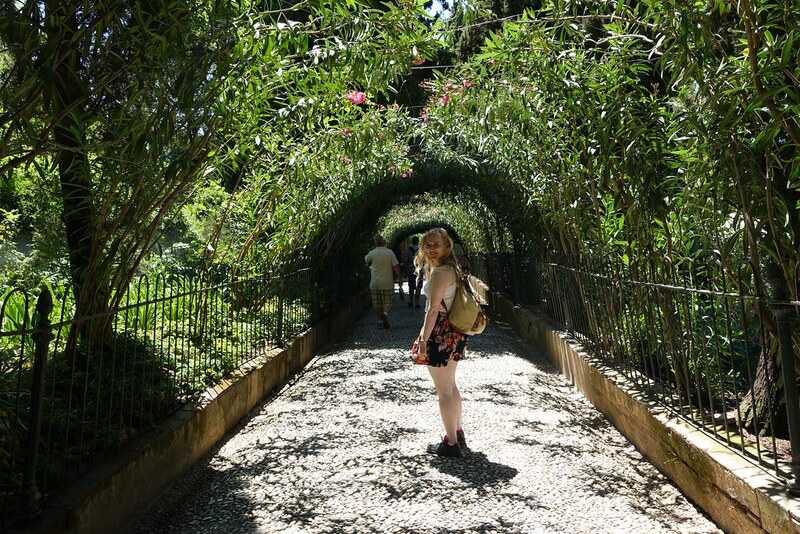 My next blog post will cover everything else we did in this wonderful city. 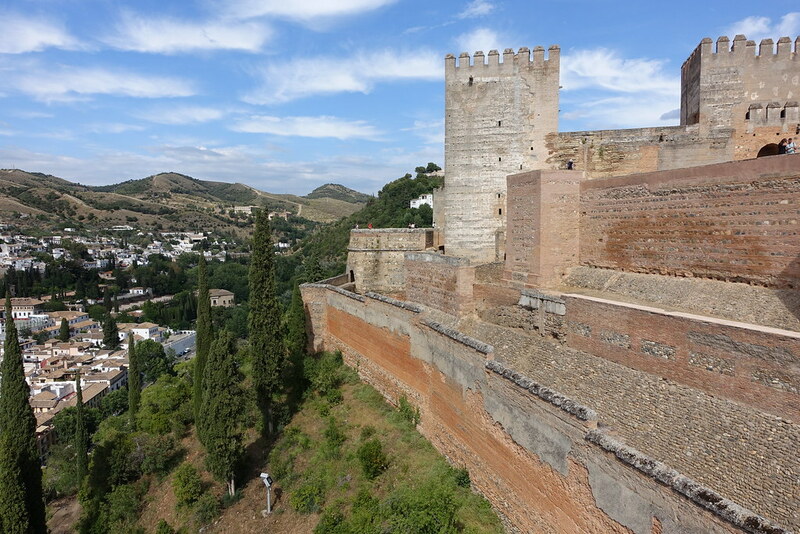 Posted in European cities, Photography, Spain, Travel, Western EuropeTagged Alcazaba, Alhambra, Generalife, Granada, Nasrid Palaces, Palace of Carlos VBookmark the permalink.